During its special media event today, Apple announced it’s partnering with rival LG Electronics to launch a new high-resolution 5K display. The monitor is designed specifically to work with the new USB-C port included on all of the newest MacBook Pro models. The monitor itself will be branded as an LG Electronics device, an unusual move for Apple, which has historically protected its branding on all of the new products announced at special media events. LG announced a nearly identical monitor to this one all the way back in September during IFA. The display was called (very forgettably) the LG 38UC99, and it was promoted as LG’s first 5K display with USB-C support. According to the initial press release, the display was able to “transmit content and data as well as charge another device such as a smartphone or laptop at the same time.” It’s currently available for purchase from LG’s website for $1,500. This new monitor is slightly different. 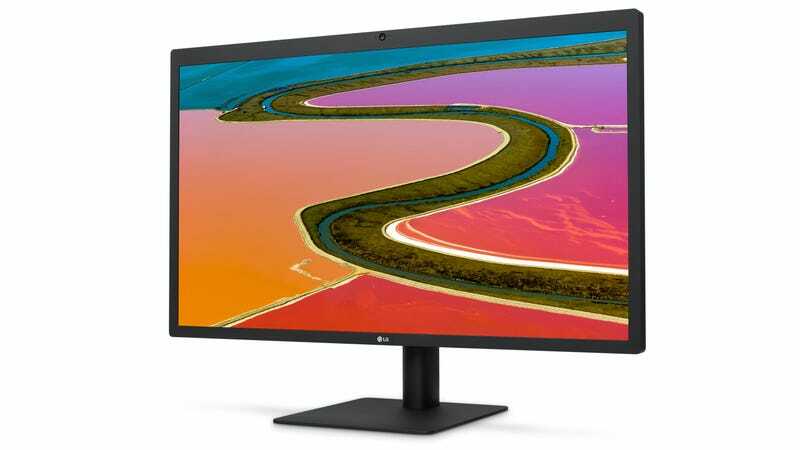 For starters, it’s called the LG UltraFine 5K Display and costs only $1,300. The monitor has a ridiculous 5120-by-2880 resolution and P3 wide color gamut. It also includes a single Thunderbolt 3 (USB-C) port capable of charging your MacBook Pro. It also includes three downstream USB-C ports (5 Gbps) for additional connectivity. Apple claims the monitor has 14.7 million pixels, about 77 percent more than most 4K UHD displays. Apple was expected to replace its 5K monitors after discontinuing the Thunderbolt 2 display port earlier this year. LG has been a known display provider for Apple for the last few years, but this is the first time the company is openly acknowledging its relationship with LG in its stores. So, if you’re looking for a 5K monitor to go with you new MacBook Pro, Apple has a very easy solution for you: Buy an LG monitor.